Food, which we eat in succession, day in and day out gives us energy. This energy helps us to keep our body healthy and perform our Activities of Daily Life [ADL]. When we eat big meal- i.e. breakfast, lunch, supper or dinner- the same is broken down by the digestive system. The liquid part in it, such as water, are absorbed through the stomach. The rest are absorbed through the small intestine. • Carbohydrates: which get converted to glucose -the body’s main source of energy. Glucose is delivered to virtually every cell in the body by the bloodstream and is then burned with oxygen to produce energy[power] which we use for body to work. Blood serves as a Sky Train and deliver all energy sources and vitamins/ minerals to cells in every nook and corner of the body. Metabolically, Hormones control every step in this process; for example, the pancreas produce the hormone insulin, which helps to control blood sugar levels. If you feel tired all the time, it is important to make a high-quality sleep — a top notch priority. But if you are reaching that eighthour threshold and still feel exhausted, your low energy level may be an indicator of an underlying problem which need to be examined with the help of your Physician. We normally ask ourselves, a question. “Why am I so tired?” Despite a 7 to 8- hour sleep in succession, things are not normal on health front. Fear lurks at the back of our minds that- may be, may be -something is wrong, somewhere in my body. Everyone knows that getting a good night’s sleep is important, though, few of us are not following it as day follows night. In this vying age of competition, we work extra hours for a better life and unknowingly- due to peer pressure- compromise on our health. One of the biggest risk factors for feeling tired all the time is being a “carbophilic,” meaning someone who added grains, refined carbs and sugary foods. This same person also doesn’t acquire enough healthy fats, proteins, vegetables and essential nutrients that support ongoing body energy- the fuel. Let us ponder over it and do not commit hara kiri. 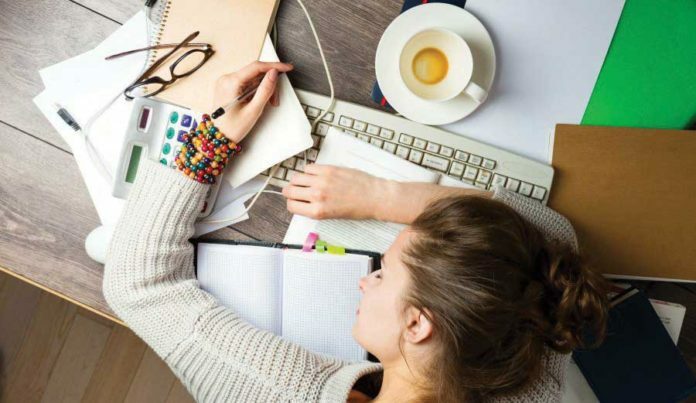 More so, stimulants like coffee, energy drinks, and external lights — including those emitted by electronic devices — interfere with our circadian rhythm i.e. our natural sleep/wake cycle. The net effect of all of these influences our hormone levels in one way or another. And many find it difficult to sleep at night. Moreover, daily stress, also leave us exhausted. According to the National Institute of Diabetes and Digestive and Kidney Diseases USA, “If you have anemia, your body doesn’t get enough oxygen-rich blood. As a result, you may feel tired or weak. You may also experience other symptoms, such as shortness of breath, dizziness or headaches. The good part of this riddle is there are plenty of lifestyle fine-tunes that we can put into use in order to fight fatigue and reclaim our energy or health back. Sedentary Lifestyle Sitting all the day, is very bad for our bodies and often causes stiffness, back pain and chronic headaches — plus fatigue, making you feel like you’re always tired! Your body is made to move, so when it doesn’t get regular activities, you can experience tiredness and weight gain. Regular exercise, as per age bracket definitely help unbalancing of hormones and improvement in insulin resistance. This help you to get better sleep, all of which are important for fighting a lack of energy. Exercise, does wonders for the body by releasing endorphins, boosting your stamina and lifting your mood. Exercise can actually help wake you up. After all, the daytime is meant for us to be active in our house and outdoors for at least 30 minutes a day … rather than cling to your office desk or be in the kitchen most of the time. One study conducted by the University of Georgia, for example, found that when adults who were initially sedentary began exercising lightly over the course of six weeks — just three days a week for about 20 minutes — they had more energy overall compared to when they first began. It helps many people regulate hormonal chemistry that allow them to sleep better at night and shun away terrible tiredness. • Plan regular outdoor activities or exercise right before or after work. • Take 5-minute stretch breaks for every hour of work. Most people have blood sugar imbalances that can be fixed, but they aren’t even aware that this is a major contributing factor to their health problems and lack of energy. If you’re always tired, your blood sugar may be the culprit.If without effort you have lost weight to the extent of 2.5 kg or more or you have a burning sensation in the sole of your feet’s maybe, type 2 Diabetes is setting in. Time to see the Physician.Over time, imbalances in blood sugar can lead to serious diseases like type 2 diabetes, which is sadly taking the shape of an epidemic.In the U.S., presently, over 12 percent of the adult population is now considered diabetic according the U.S. Centers for Disease Control. As per Statistics Canada estimated diabetes prevalence is pegged at 3.4 million [ 9.3%] and estimated pre-diabetes prevalence [age20+] is 5.7 million [22.1%]. Time is ripe for us to wage a war against it at community level. City level and State level. • All sugary beverages — which are some of the worst culprits — like all soda, fruit juice, energy drinks, and sweetened coffee or tea beverages. Use stevia for sweetness instead of table sugar. • Packaged snacks like all cookies[ prepay wale biscuit, dear Punjabis], cakes, cereals and candy. • Even natural sweeteners like raw honey and maple syrup, which can still affect blood sugar levels. Raw honey in moderation is ok. The processed honey we buy from big stores is as bad as sugar. Stevia is a best choice though, because it is made from a green leaf which is 60 times sweeter than table sugar with Zero calories. • Also consider cutting back or eliminating grains, especially gluten-containing grains like wheat and wheat products (including “whole wheat”). These contain large amounts of carbohydrates that are broken down into sugar within a few minutes of consumption. All grains which have a protein named Gluten in them are not good. Why? Gluten make the carbohydrates in the grain break very easily and rush into blood stream and thereby increase blood sugar level. High Blood Sugar level, most of the time can cause intestinal inflammation that affects hormones like cortisol[ stress hormone] and leptin[ hunger control hormone], leaving you feeling weak and tired. 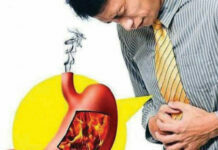 To check your inflammation level, go for a test named CRP test. • Conventional (nonorganic and pasteurized) cow’s milk and dairy products should also be eliminated. Stay away from dairy products that contain A1 casein, which is produced by conventional cows and found in most milk, yogurt and cheese that’s available in the grocery stores. When buying dairy, only purchase raw and organic kinds from pasture-raised animals. The milk we buy from stores is pasteurized and does not have all the nutrients in exact measure as pronounced on the product label, because pasteurizations kills most of it. Goat milk is better than Cow/buffalo milk. • Eat Foods high in B vitamins, B vitamins are abundant mostly in protein-rich diets. Try having plenty of sources like grass-fed beef, wild-caught fish, cage-free organic eggs and poultry plus all kinds of green leafy vegetables. • Foods high in calcium, magnesium, selenium and zinc, which can all help you to relieve stress and get better sleep — these include unpasteurized organic dairy products, avocados, wild-caught salmon, green vegetables, nuts and seeds. • Processed and refined flour: These “simple carbohydrate” foods act very similar to sugar in the body. They lead to fluctuations in blood sugar, mood swings, hormonal changes and food cravings. White bread and whole wheat bread have the same glycemic index. • Too much alcohol: Alcohol may help you to fall asleep, but it also interferes with REM sleep (rapid eye movement sleep), which is the deepest sleep state that’s needed to feel rested the following day. It can also increase anxiety and make it hard for the body to manage stress. Poor Sleep Causes are, poor/junk diet, continuous stress, staying up late, drinking alcohol over the limit, mood or hormone imbalance,chronic paintrauma or abuse, adrenal fatigue, GERD/acid reflux/digestive disorders. This list is suggestive. It is important to actively pursue healthy sleeping habits. Sleep deprivation studies repeatedly confirm a negative impact on mood, cognitive performance, and motor function,” state researchers from the Department of Neurology, Emory University School of Medicine. A power nap during the day for 20 to 30 minutes do rejuvenate the body. Those suffering from sleep apnea think that they actually get good sleep. To avoid tiredness, check your hydration level per diem. To avoid dehydration, I drink only two drinks i.e. clean Tap water [ courtesy BC Hydro] and Coconut water. All energy drinks or sodas and colas are good for bad health. Health experts categorise it as Junk food, though manufacturers and venders call it part of a happy meal. What a hoax? To confirm whether or not you have sleep apnea, a sleep study test called the polysomnogram need to be performed. 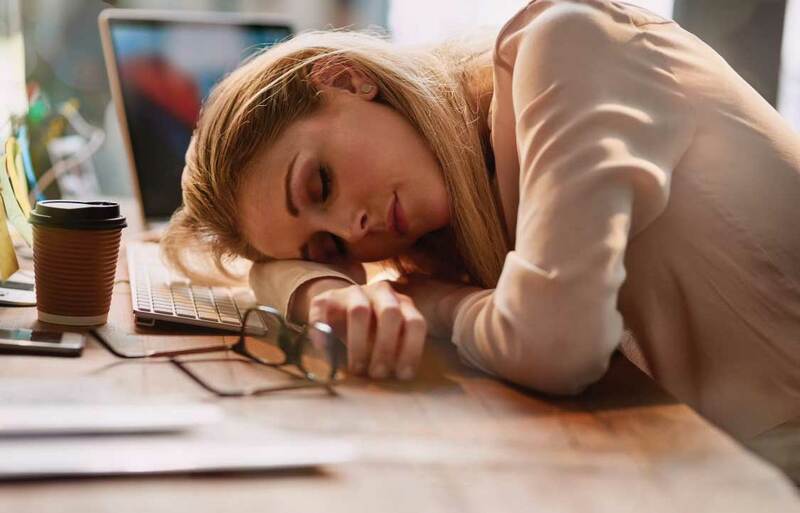 Those suffering from narcolepsy[a chronic neurological disorder that makes it difficult for the brain to control sleep-wake cycles need to see their doctor. This disorder adversely affects the quality of life, as symptoms include extreme drowsiness and falling asleep unwillingly during an activity like work or school and feel tired most of the time. • Practice relaxation techniques that help you to unwind and fall asleep, such as journaling or reading. • Take magnesium supplements in the range of 300–400 milligrams, which promote relaxation and relieve muscle pain. • Use essential oils such as lavender or frankincense. • Avoid sugary and carb-heavy meals before bed which can give you a “sugar high,” keeping you up. If you are hungry before bedtime consume one small apple and one tablespoon of peanut butter. Those who have an allergy from peanut can use almond butter. Stay away from Indian sweets Laddoos, Jalebis, Gulabjamun, Rasgulla, Burfi at this time. Also, do not eat watermelon and pine apple at this time as they are high glycemic food. • Turn off all electronics two hours or more before bed to avoid blue-light exposure, which can disturb the release of melatonin [sleep hormones] levels and make it hard for your mind to become sleepy. Anemia occurs when there’s a problem with red blood cells making hemoglobin, a protein that carries oxygen throughout the body, especially to the brain where it’s much needed. It’s connected to insufficient iron levels within the blood, in addition to low vitamin B12 and folate levels.Anemia can also be caused by a loss of blood or a diet that’s too low in those essential nutrients and, thus, hinder the body’s ability to make enough hemoglobin. Anemia symptoms can be greatly reduced by improving your diet and including plenty of foods that are rich in iron, vitamin B12 and folate.